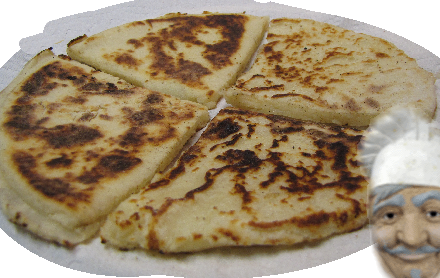 I get a lot of requests for potato scones ("tatty scones" to the Scots) in the store. It hasn't been so easy to keep them in stock now that so many small bakeries have been put out of business by the Ontario government. I keep telling people they can make their own quite easily but I hadn't actually tested that theory until today. Well I haven't been telling a word of a lie. You can make very tasty potato scones that taste just like the commercially made ones for a fraction of the price. And it takes only a few minutes to do. Here is how I made mine. Potato scones are delicious as a cold snack on their own or spread with marmalade or jam. 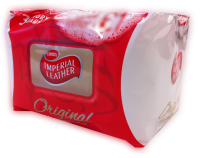 They are traditionally eaten as part of a full, cooked Scottish breakfast. If you pre-cook your potato scones you should lightly fry them in butter (until golden) to serve as part of a cooked breakfast.